The news that the recent government grant scheme for roof repairs on places of worship has been extended is welcomed by Wakefield roofing services company DPR. Originally, the chancellor set aside £30 million for roof repairs, but DPR are not surprised to hear that there has been so much interest in taking up this generous grant, that the Chancellor has announced that a further £25 million will be available in a second round of grants next year. 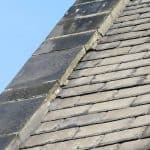 Local Wakefield roofers DPR are well aware that leaks from roofs are the principal cause of decay in historic buildings, as highlighted by the English Heritage at risk register. 806 of the 16,000 Church of England Parish Churches are currently classified as ‘at risk’. Of the 502 listed places of worship due to receive grants for roof repairs, 400 are Church of England Parish churches. A report from the Church Building Council has pointed out that many people value local church buildings even though they may not be regular churchgoers, and are in favour of keeping these historic buildings in good condition for all to enjoy. Grants ranging from £10,000 to £100,000 have been allocated for urgent church roof repairs for these valuable buildings, and DPR agree that maintaining a building’s roof in a good state of repair is crucial to prevent damaging leaks from entering the building. 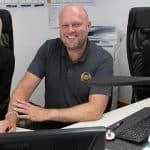 Maintaining cherished buildings in a state of good repair throughout the Wakefield area is a prime objective for roofers DPR, who offer a range of roofing services in and around Wakefield for both commercial and domestic roofs. DPR have over 20 years experience in roof repairs in Wakefield, so if you require the services of a local roofer anywhere in the Wakefield area, telephone DPR on 01924 637081. How Much Experience Should You Expect from Roofing Contractors? 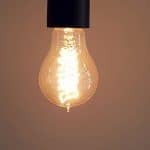 Can a New Roof Reduce My Energy Bills? 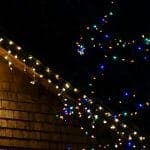 Is It Safe to Hang Christmas Lights from the Roof? Enter your details and we’ll call you back. 3 Ways to Get Your Landlord to Replace Your Roof 5 Simple Ways to Prevent Gutter Clogging A Complete Guide to Leaking Roof Insurance Claims A Guide to Buying Fixer-Uppers – Why the Roof is Key A Guide to Guttering for Homeowners Cold Roof Insulation Commercial Roofing Commercial Roofing Safety Gutter Cleaning Gutter Clearance Gutters Health & Safety How Do I Know If My Roof Has Been Fixed Properly? How Much Can a New Roof Save Me on Energy Bills? How Often Should I Clean My Gutters? How to Calculate Your Annual Roofing Cost How to Fit New Guttering Is It Safe to Hang Christmas Lights from the Roof? Replacement Roof Cost Roof Cost Roofer Roofing Roofing in Leeds Roof Insulation Warm Roof Insulation What Type of Roof Is Best for Solar Panels? 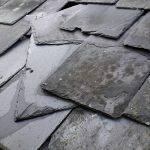 Will a Faulty Roof Affect the Value of My Property?